Heat tape is an effective way to keep water from freezing in your pipes and on your roof. If you haven’t used heat tape before, here are a few quick tips to get you started. Remember, your local roofing professional can install tape for you! Before you purchase heat tape, measure the area that you want to cover. If you're using heat tape on pipes, simply measure the length of each pipe. 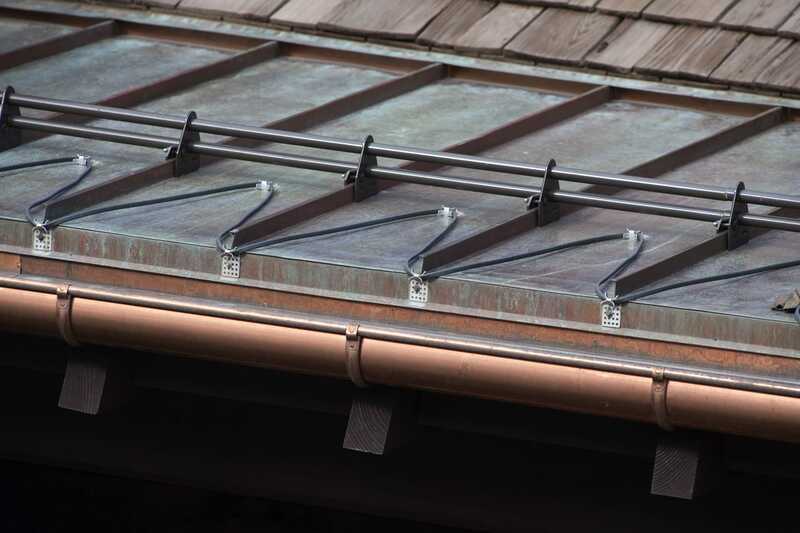 If you're using heat tape on your roof, you will need between four and seven times the length of the roof line, as it should be installed in a zig-zag pattern. When choosing your heat tape, always check the label. There are several different types of heat tape, and they all have different features and benefits. Make sure that the type of heat tape you purchase is suitable for your intended application. It’s recommended that you have heat tape installed by a professional, but if you attempt the job yourself, be sure to carefully follow all of the manufacturer’s instructions. Avoid installing it on leaking pipes, which can cause the tape to short out. Also note that some types of heat tape can pose a fire hazard if it’s crossed over itself or covered with insulation. To install heat tape on a pipe, simply secure it with electrical tape. When securing heat tape on the roof, use the clips that are provided. Heat tape works best when it is insulated. After ensuring that the product you’ve purchased is safe for use with insulation, insulate your pipes over the heat tape to enhance efficiency. It’s important to monitor the areas where you’ve installed heat tape to ensure that everything is working properly. If you suspect that something is awry, contact a professional electrician and have them inspect your system. Malfunctioning heat tape can result in an electrical fire. If you need roofing services in the Roaring Fork Valley, contact the professionals at Pacific Sheet Metal. Our experts can help you in your fight against ice dams and repair any roofing issues that may arise throughout the winter. Get in touch and learn how we can care for all of your roofing needs.